South Africa is home to the world’s largest non-carbonado diamond ever found. It is the biggest gem quality diamond ever found. 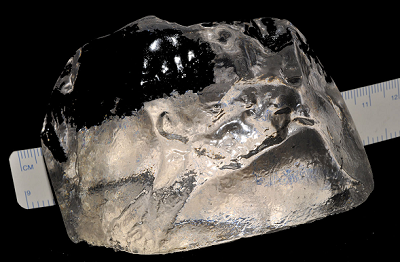 The Cullinan Diamond named after the mine owner, Sir Thomas Cullinan, was discovered in Pretoria, South Africa. It weighed a staggering 3106 Carats (over 600 grams of beauty). The world’s largest diamond was discovered on a hot summer’s day at the end of January 1905. Visitors to Cape Town can view first hand an exact replica of the Cullinan Diamond (and other famous diamonds) at the Cape Town Diamond Museum situated at the Clock Tower, Waterfront. When it comes to diamonds today, bigger isn’t always better. There is always a trade of between value, the diamond size (carat weight), colour, clarity and cut. The larger the diamond, the higher the colour, the cleaner the diamond, the better the cut. The price will go up all due to rarity in nature and availability of supply. Learn more about the 4Cs of diamond grading.